Following the May 22, 2017 bombing outside Manchester Arena, many smart people offered suggestions how to make entertainment venues safer, how to make security more robust in both public and private spaces, and how to make us less vulnerable to bad guys. The ideas have ranged from the usual (more guards doing bag checks and more magnetometers) to the trendy (extending the security perimeter further away from entrance doors), ideas that look backwards to avoid another Manchester (sending people out more exits after a show to offer a less concentrated target) and ideas that look into the future (walk-through devices that can detect explosives and firearms and also use facial recognition tied to the venue’s CCTV). In conversations I’ve had over the last six weeks with my local police and NYPD, with FBI agents and even the U.S. Secret Service, it has become apparent that some of these well-meaning ideas are more practical for event spaces than others. Security does not have to be a zero-sum game, but for the price of a modest drink I can point out how some of the widely-discussed solutions would strengthen one area while exposing another to new risks. More importantly, each event and venue professional is going to know more about their shows and how their space works than any outside expert or consultant. You know best what is reasonable under your circumstances. So rather than getting into a debate here about whether clear bags or no bags are the best policy, or how to enforce a law that allows you to ban guns at your shows, I have something else to offer that is more within my own lawyerly wheelhouse. I don’t remember when I bought a copy of The Black Swan, by Nassim Nicholas Taleb. I know I started it some years ago because I dog-eared a few pages, but it apparently didn’t resonate with me then. When I picked it up again recently, I found a connection to my post-Manchester discussions. Now I see Black Swans everywhere. The metaphor of the black swan is simple. Before Australia was discovered, people in the Old World thought all swans were white. This is because they had only ever seen white swans, and seeing, then as now, tends to equal believing. 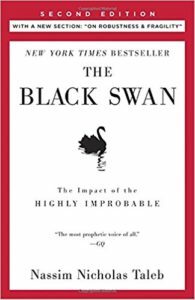 So imagine the surprise when black swans were sighted, rendering the prior certainty — based on all the prior empirical evidence — completely wrong. The phenomenon of the Black Swan works the same way. It refers to any event which (1) is very rare, (2) has an extreme impact, and (3) seems retrospectively predictable. Let’s break these elements down so we understand them, and then we can see how the Black Swan idea applies to venue and event security in the current historical context. First, a Black Swan is an outlier. It is anything that lies far outside regular expectations because nothing in the past suggests that this new occurrence was even a possibility. For a turkey, Thanksgiving morning is a Black Swan. (Think about it a minute.) I have previously written about how confirmation bias, the belief that today will not be a radical deviation from every day that came before, slows down our perception and reaction time in active shooter situations. Second, a Black Swan has an extreme impact. Again, consider the Thanksgiving turkey, or the ship captain who claimed to have never even seen a wreck until the night he piloted the Titanic into an iceberg. Likewise, the sorts of extreme impacts we are talking about after Manchester are mass casualties during and after events. Third, human nature makes us create explanations for the occurrence of a Black Swan after the fact, in which we try to fit it into a pattern of previous events both to make sense of a seemingly random act and to predict how and where it might happen next. I saw this repeatedly in reporters’ questions, in which they almost uniformly linked Manchester to the Bataclan nightclub attack even though the incidents had little in common other than that both took place in Europe. You can read much more about the specifics of black swan theory in Taleb’s book, but I’ll warn you that it takes a commitment. At one point he pokes fun at people who quote ancient philosophers they’ve never read, but The Black Swan is so dense that I bet it will also be more widely quoted than read. So rather than getting hung up on the details, let’s apply to live events the general concept of an occurrence which is rare, has an extreme impact, and only retrospectively predictable. 2003 The Station, West Warwick, Rhode Island: 100 dead, approximately 230 injured in nightclub fire. 2004 Republica Cromagnon, Buenos Aires, Argentina: 194 dead, more than 1,400 injured in nightclub fire. 2010 Love Parade, Duisburg, Germany: 21 dead, more than 500 injured in crowd crush under an overpass during festival ingress. 2011 Indiana State Fair: 7 dead, 58 injured from outdoor stage roof collapse. 2013 Boston Marathon, Boston, Massachusetts: 3 dead, 280 injured from two bombs left in crowd near finish line. 2013 Kiss, Santa Maria, Brazil: 231 dead, 630 injured in nightclub fire. 2015 Bataclan, Paris: 89 dead in nightclub shooting, 130 dead overall, another 368 people injured in attacks on six venues in Paris. 2016 Pulse, Orlando, Florida: 49 dead, 58 wounded in nightclub shooting; most total shooting casualties in U.S. history. 2016 Nice, France: 86 dead, 458 injured when a truck was driven into a crowd on a road closed to vehicles following Bastille Day fireworks. 2017 Foyer outside Manchester Arena, Manchester, England: 22 dead, 116 injured in suicide bombing during concert egress. Does reading this list make you feel like the live event industry is under attack, if not actively in crisis? (Does it make you a bit queasy?) Talking heads in the media, including guys like me, mostly get asked these days about stopping shooters and bombers. But we rarely get asked whether, in the competition for finite resources, that is the most reasonable focus. Does this list help you make a more reasoned judgment? Is a reasoned judgment even realistic? If so, does it change your risk analysis to know that 35,092 people died in motor vehicle crashes in the United States in 2015 alone? I contend that shooters and bombers, regardless of their motivation or nationality, are Black Swans in the live event industry. After reading the preceding list and clicking on some of the links, I hope you agree that any of these occurrences are extremely rare. However, they deserve our attention because they have the most extreme possible impact on the victims. My concern is that they are only retrospectively predictable. Let’s focus on this last element of the Black Swan concept, retrospective predictability. The obvious problem for people charged with planning for venue and event security is that improbable events are inevitable only after they have happened. No one leaving Ariana Grande’s show had any idea they were a very soft target until after the bomb detonated outside the arena. I would add that even with the benefit of hindsight, confirmation bias still makes us slow to apply the tragic lessons of other venues to ourselves. I teach risk management using schadenfreude (taking pleasure in other people’s misfortune), in order to make professionals see themselves in their peers’ mistakes, but history shows that I am swimming against the tide. Indiana was the third Midwestern outdoor stage roof collapse that summer, so you wouldn’t think the need for a severe weather action plan would come as a surprise; Kiss was one of many well-publicized nightclub fires around the world caused by a combination of ignored fire hazards, overcrowding, and unsafe or locked exits; Pulse was only the latest demonstration of the ease of acquiring and using high-powered semi-automatic weapons designed for combat against civilian targets. So if we are understandably bad at predicting highly improbable events, and not so much better at applying the lessons of other incidents to ourselves, what should a reasonable person do? I began this discussion by listing some of the proposed safety and security measures getting attention these days. I’m not opposed to any of them per se. 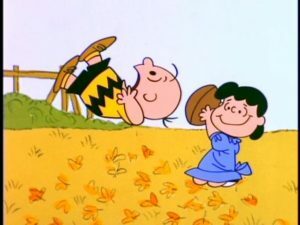 But I’m thinking that choosing new security enhancements by looking back at the last security disaster is the wrong way. If these incidents are improbable, then there is no point to solving the last one, because it is not likely to happen again, much less to you. While it may be contrarian these days to suggest a primary focus on routine risks and threats, the ordinary white swans, I think it is both alarmist and wasteful to do otherwise. With that in mind, here are a few ideas that are not as shiny as a new piece of technology, but which may be more effective in an all-hazards security plan. Before I would pay for more security guards to sit outside a venue, I would spend the time to ensure that the ones already working understand basic crowd management, know the venue and its exits and shelters, and can convey key messages during an emergency. Before pulling the trigger on new wands or walk-through magnetometers, I’d see if your staff is using your current technology to its fullest capacity. I would make sure that production staff know how to do their jobs safely and understand that reporting hazardous conditions can help save lives. I would blow the dust off your current emergency plan to see what it says, whether it accurately describes what your staff is able to do or merely establishes a breach of your duty of care because they are unprepared to do what the plan says they must do. Being able to evacuate a crowd, for example, is important whether the reason to move people is a fire, severe weather, a shooter, or a bomb threat. I think a reasonable person applies an all-hazards approach to venue and event security. The goal is to address the white swans consistent with their greater likelihood, and the black swans to the extent it doesn’t unreasonably divert scarce resources from more foreseeable threats. Venues and events with essentially unlimited resources have the luxury of buying new security toys whenever there is another incident. For the rest of you, try to base your choices on reason.